Holly and Polish: A Nail Polish and Beauty Blog: China Glaze Avant Collection Giveaway Winner! Sorry for the lateness of this post! As I mentioned last week, I was completely burnt out, and ended up taking an extended break from blogging. 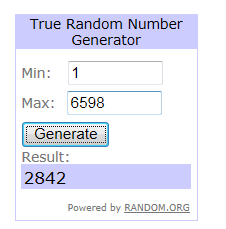 I'm back now though, and am so excited to announce the winner of my most recent China Glaze giveaway!